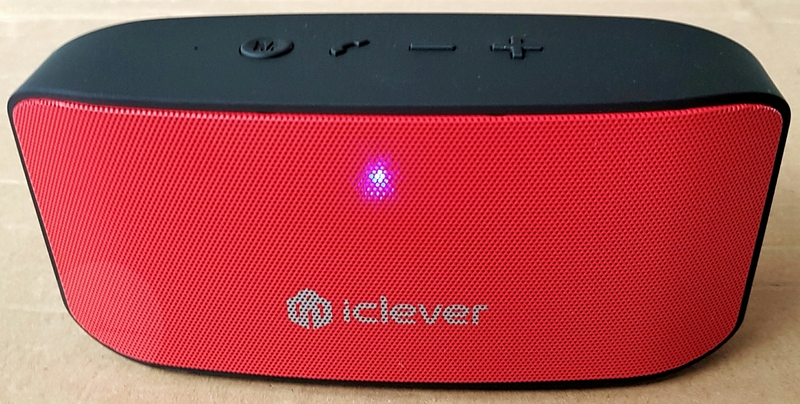 Following on from our review of iClever’s BTS05 speaker, now it’s the turn of its smaller and slightly cheaper little brother. The BTS07 has a similar black and red styling, but it’s a lot slimmer and more compact (coming in at just over 6” long). Apart from the red metal speaker grill, the rest of the unit is covered in a grippy TPU material. When I lifted it out of the packaging I was surprised – it actually has a bit of weight to it which gives the impression of quality materials and components. Up top there’s a microphone hole and 4 controls – mode, call and +/- buttons. The call button is for play / pause / answer call, while mode switches between Bluetooth and aux input (from the included 3.5mm cable). Tapping + and – allows you to skip tracks, or they can be held down to adjust volume (I did find these could be a little fiddly for precise volume control). At the back is the on/off switch, while behind a silicone water resistant cover there’s also the 3.5mm audio socket and Micro USB charging port. 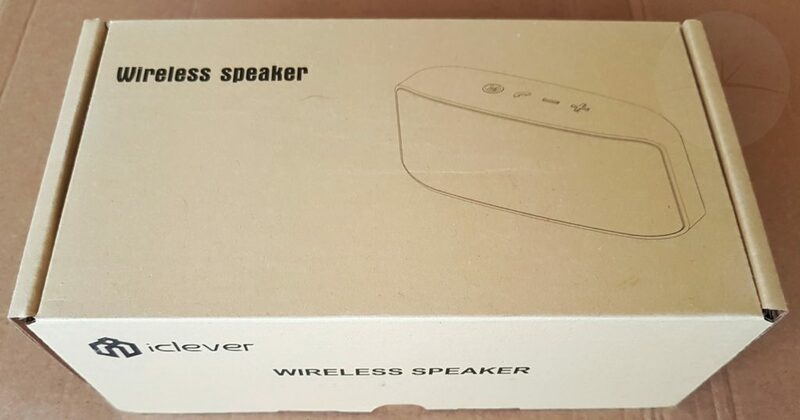 A USB cable is supplied that can charge this speaker in a couple of hours. It then boasts up to 10 hours of battery life. With it’s twin 3W speakers it obviously can’t reach the volume of the two 10W speakers in the BTS05, but for such a small device it gets plenty loud for general indoor use. The passive subwoofer has also been dropped, which can be heard in the bass response. However considering this speaker’s size I was impressed by the overall sound signature and would have no problems using this as my daily driver. 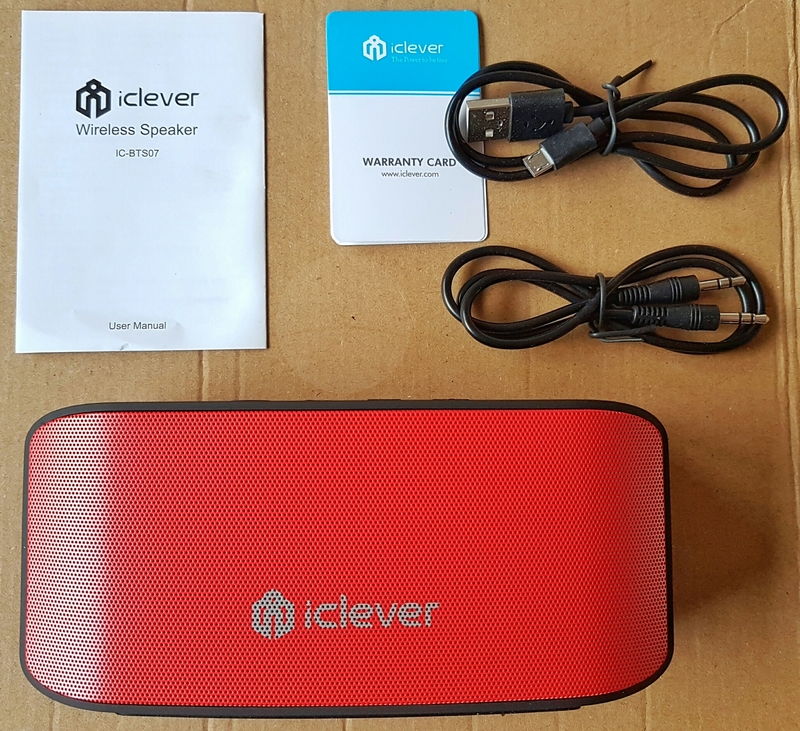 I also had no Bluetooth reception problems and I’d say that overall iClever have delivered another great option as part of their BoostSound speaker range. While the volume controls could be improved, this BTS07 speaker will definitely appeal to those looking for something inexpensive, compact and well made that also delivers in terms of audio and battery life.